India’s new e-commerce laws came into effect today, and they’ve already started having an impact on the catalogs that the country’s biggest e-tailers have in place. Amazon India has begun removing items from its site that didn’t comply with the Indian government’s new regulations, which bar e-commerce entities from selling products from sellers in which they hold equity. Both Flipkart and Amazon had protested against the new rules, but they came into force from midnight tonight. This has meant that numerous items being sold by Amazon’s in-house brand, Cloudtail, started disappearing from its site. Other Amazon products, such as its range of Amazon Basics items, and even Amazon’s Echo speakers, were no longer available. 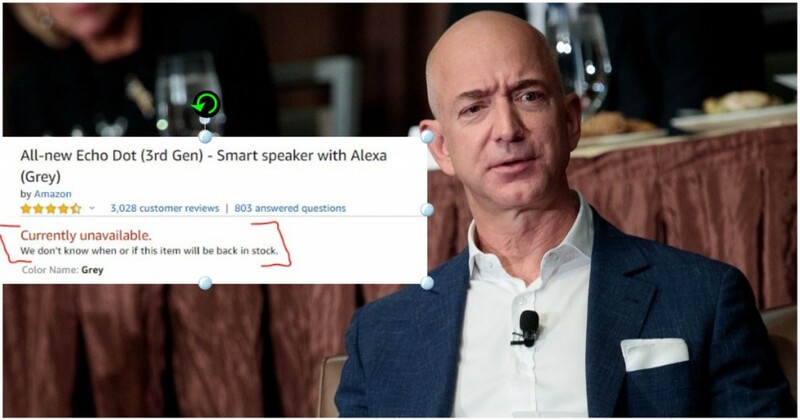 Users looking to buy Echo speakers were greeted with a message saying “We don’t know when or if this item will be back in stock.” Clothes from Shoppers Stop disappeared too — Amazon had acquired a 5% stake in Shoppers Stop in 2017. Amazon’s executives said they were lclosely monitoring the situation. The situation in India is “a bit fluid right now,” but the country remains a good long-term opportunity, Amazon Chief Financial Officer Brian Olsavsky said on a conference call with reporters following its fourth-quarter earnings announcement. The company’s main goal is to minimize the impact of the new e-commerce rules on customers and sellers, he’d added. The new e-commerce laws, which came into effect today, prevent e-commerce companies from selling products owned by their own companies on their platforms. This was meant to prevent companies like Flipkart and Amazon from edging out smaller sellers who’d invested time and effort into building their own digital presences. Sellers had alleged that Flipkart and Amazon routinely pushed their own products on their sites ahead of those from smaller players, which prevented them from competing on an even playing field. But while the government’s laws will enable smaller sellers to keep selling on platforms, there is likely to be significant disruptions to the operations of Flipkart and Amazon. Flipkart, via Supercoment, and Amazon, through Cloudtail, had been selling large volumes of products through their own arms. These products can no longer be sold, which will mean that Indian e-commerce customers will likely see depleted catalogs on their favourite sites in the days to come.